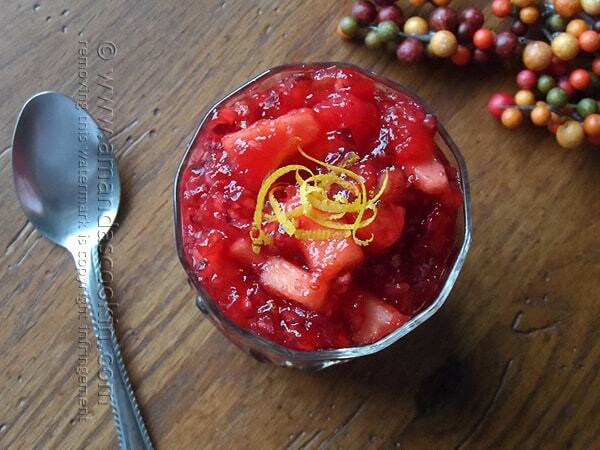 Cranberry relish has been around for a long time. The first time I ever tried it was a few years ago when my neighbor made a batch for me. It’s a fabulous accompaniment to both Thanksgiving and Christmas dinner and adds just the right amount of sweet-tart to the rest of the meal. 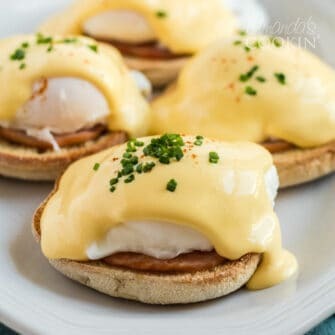 This particular recipe makes enough for a large crowd of people, or for your average family that enjoys holiday leftovers! 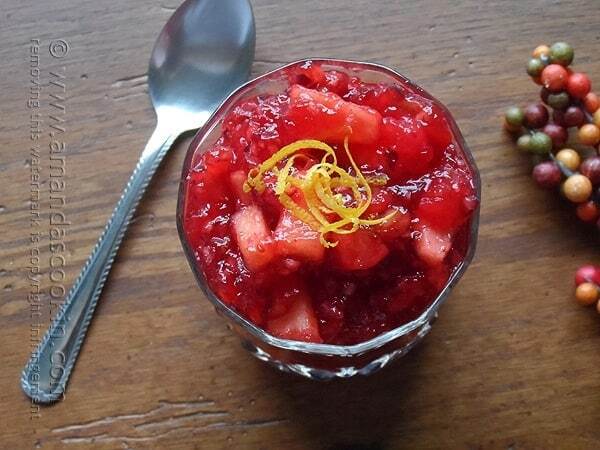 Because it’s made with gelatin, it seems more dessert-ish than whole berry cranberry sauce does, which is often served right alongside the meal. 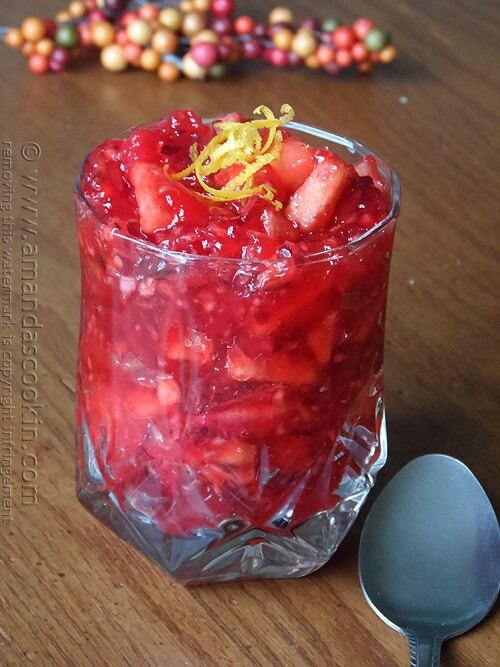 Dessert or side, this relish is delicious and easy to make. You can make it ahead as well and store it in the fridge. I hope you all have a joyous Thanksgiving! 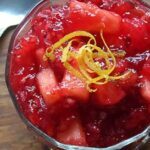 Cranberry relish has been around for a long time. It’s a fabulous accompaniment to both Thanksgiving and Christmas dinner and adds just the right amount of sweet-tart to the rest of the meal. Mix gelatin with sugar in a large bowl. Bring water to a boil and pour over the sugar/gelatin mixture. Stir or whisk until dissolved. Set aside. In a large bowl, mix together pineapple, chopped apples and chopped oranges. Place cranberries in a food processor and pulse several times until finely chopped. Add chopped cranberries to the other fruit in the bowl. Add pecans to fruit mixture and stir everything to combine. Pour gelatin mixture over the fruit/nut mixture and stir well. Cover and refrigerate for at least a day. 24 hours or more, can be made up to two weeks ahead. That’s so sweet, Lorraine! Thank you so much :) Be sure to let me know if you try any of them out! Is the pineapple crushed or tidbits? Mine doesn’t have pieces like the finished picture. I used crushed, but I would imagine that tidbits would work fine!